See why some of the biggest studios in the jewelry world source basic findings from Halstead! 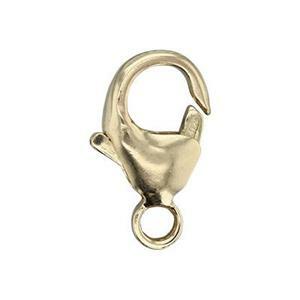 Check out our competitive volume pricing on this bestselling lobster claw clasp. Finish your gold filled chain necklaces, wirework or beading with a secure, classic jewelry clasp. Lobster claws remain affordable, yet they are a customer favorite since they are easier to open and close behind the neck. Lobster clasps contain an internal steel spring for the trigger function.